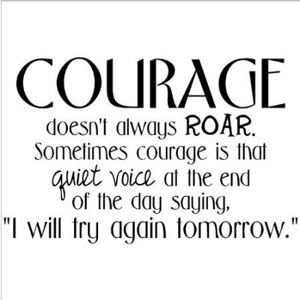 This past week has been the clearest example yet of how much this blog helps me. When I wrote my last post I felt I was on the brink of returning to a very dark place again. I wrote it to let some of the thoughts out, in the hope that stating my fears out loud would somehow diminish them. I always feel a sense of release once I hit the “publish” button. It’s a bit like a sigh of relief and almost some closure, as if verbalising what has been running around my head somehow unsticks the record and allows the song to continue without interruption. This time it was you, my amazing readers who gave me my balance back along with my perspective. You reminded me that there are actually lots of things I do to help make the world a better place. Through my blog and my relationships and generally doing my best to be as good a person as I can. It’s telling that I could better articulate this point by sharing some of your comments now, but to do so would feel boastful or show-offy which would not sit comfortably with me. You can find some of the messages here, if you like. Why do so many of us find it far easier to be kinder to others than ourselves? Why is it that compliments are so hard to digest? We seem to have such low opinions of ourselves that we actively remove the healing properties of compliments by discrediting them entirely. Have you ever ignored a lovely sentiment or told yourself that its benefactor is “just being nice” or doesn’t know what they’re talking about? Or noted that they wouldn’t say those things if they knew the real you? I know I have. I do it all the time and it’s wrong. So wrong. You and I are are worthy of love and respect. From ourselves as well as those around us. I can’t pretend that I have the solution to silence that inner voice trying to drown out kind thoughts with negative ones. But I have a plan, a place to start. I can’t single-handedly stop child poverty, cure cancer or rid the world of debt, but I can affect small change. This needs to start with me. I need to remind myself daily that I am important to lots of people and that I make a difference. I do, and so do you. For this reason, I’m hoping you’ll join me in starting a succession of little ripples. A Self Kindness Revolution if you will. Using the Twitter hashtag #selfkindness I am going to notice and share one self-kind thought a day. Little ripples, you see. I hope that by consciously listening to my one kind thought a day I can start lots of little ripples and I’d like you to join me. Some days your #selfkindness may be a huge pat on the back for juggling a job, children and a household; Something thousands (if not millions) of women do each day. But that’s not to say that it’s easy. Or appreciated. Other days making a dinner that doesn’t involve a microwave may be a huge achievement. Occasionally your #selfkindness may be to commend yourself for making it out of bed….Or not having a meltdown along with your children….Or somedays simply having a shower or finally washing your hair feels like it deserves a round of applause. It doesn’t matter what you choose; the idea is to simply pick out one thing you did today and congratulate yourself for it and in doing so remind yourself that You. Are. Enough. Just as you are. 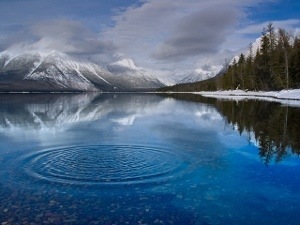 To throw a little pebble out and make a small ripple in your subconscious. 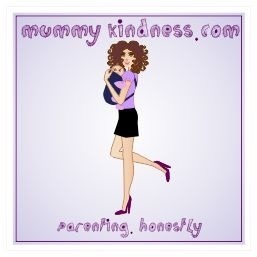 My Twitter handle is @mummykindness and I am going to send a reminder out each night. 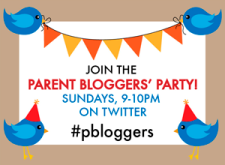 If you’re not on Twitter…join! You don’t even have to use your real name and you don’t need to follow or be followed by anyone else to take part in the Self Kindness Revolution. I must tell you that this whole idea throws me in to a bit of a self-conscious panic, which I realise is the complete opposite of the intended purpose. Like when you arrange a party and you worry that nobody will turn up and you’ll feel like a friendless fool. This blog is far, far from being the most popular or well-read on the internet. It’s small and relatively new. However, I’m reminding myself that this doesn’t matter in the slightest. This is not a popularity contest. If only one person joins me in my #selfkindness revolution and starts working towards silencing their inner critic, I’ll have made a ripple. One definition of a revolution is “Complete change from one constitution to another.” Some revolutions are huge and world-changing and others are quiet and occur only within. In either case, revolutions start with conversations. This #selfkindness revolution is about a quiet conversation with yourself. Are you in? And are you ready to listen?